Jonathan Proudfoot is running away with the UK online poker rankings and is now also seventh in the world. Jonathan “proudflop” Proudfoot has climbed to an all-time high of seventh in the worldwide online poker rankings, provided by PocketFives.com, while opening a lead of almost 530 points over his nearest rival in the United Kingdom. Proudfoot continues to excel in online poker tournament and last week enjoyed several four-figure scores, including one for $5,453, his reward for being the runner-up in the partypoker Thursday Major-H: $35K Gtd. The Durham-based grinder is now less than $46,000 away from $2.5 million in online winnings. A new name has appeared in the UK top 20 this week, that of “girafganger7”, a Belgian who now resides in London. Girafganger7 is one of the most respected and feared online poker tournament specialists of his generation, one with more than $6.3 million in winnings. He has five six-figure scores to his name, including one for $701,766 that he banked for finishing second in a $1,050 SCOOP event in 2017. Former UK number one Conor “1_conor_b_1” Beresford kept tabs on the leading pack with a win in the PokerStars Hot $109 for $7,579 and the partypoker Super Sunday Smooth Deepstack-H: $75K Gtd for $16,646, while Dan “Deepincidurr” Daw won both the PokerStars Big $33 for $2,762 and the partypoker Deepstack-M: $20K Gtd for $3,820. Lastly, a mention for Owain “sngwonder” Carey who was the runner-up in the partypoker Friday Major-HR: $30K Gtd High Roller for a $6,797 score. Sean “monkeybudgie” Prendiville is still the man to catch in the Irish online poker rankings although Ronan “Sw33ney” Sweeney is doing his best to close the gap on him. Sweeney bagged four four-figure scores last week, including a $4,636 addition to his bankroll after he finished second in the PokerStars Hot $215. He also managed a $20,905 score but that came too late to be added to his profile at the last update, more on that next week. 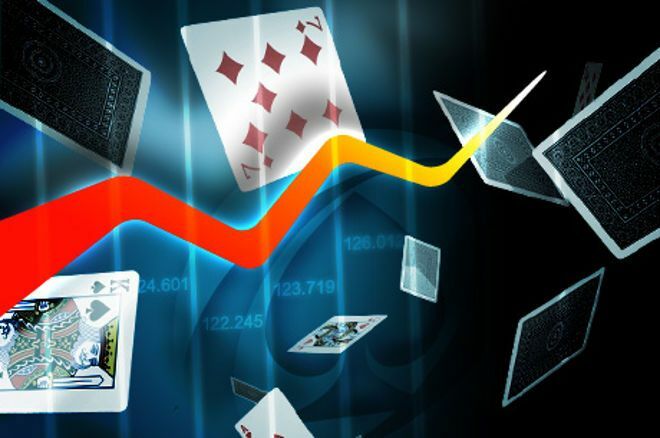 The player known as “rtspurs” continued to boss the Omaha tables at PokerStars last week, helping themselves to more than a dozen cashes and a handful of top three finishes. Their best results included winning the $82 NL08 6-Max PKO for $1,699 and finishing third in the Omania High Roller: $215 NL08, $10K Gtd for $2,208.